Back on the Market! 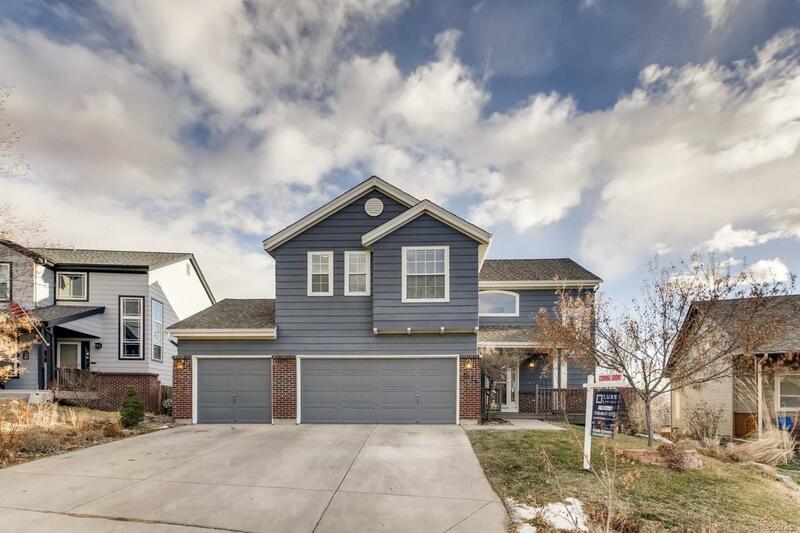 This wonderful home is move in ready! You will be impressed by the new paint and the new laminate hardwood floors. The open concept family room is kept warm and bright by the natural sunlight that pours in from the large south facing windows. A custom wood mantle and stacked stone tile highlight the fireplace. The kitchen is one of the very best with brand new granite counter tops, stainless steel appliances, and large island make this perfect for your next party. Upstairs you will find 2 master bedrooms each with their own attached bathroom and 2 other secondary bedrooms joined by a Jack and Jill bathroom all with new tile and paint! The upstairs loft area is perfect for a homework desk or seating area. The brand new finished garden level basement features a large game room, a 5th bedroom large enough for a queen size bed, and 3/4 bath with it's own shower. Views of the mountains from nearly every window, make this rare 3 car garage home ready for you.